The Terriers Are Currently 12/1 To Win! 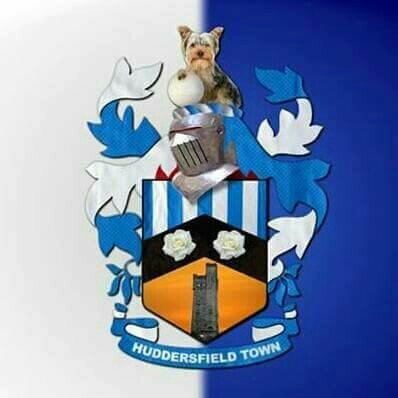 Huddersfield Town football club is also known by the nickname The Terriers, nobody is quite sure if this is because of their dogged determination or the fact a lot of their fans are a little yappy?! (JOKE) They were formed in 1907 but first entered the football league in 1910, but by 1919 things were so deperate that the town had to come to the rescue of the club to stop them being merged with rivals Leeds. Shares of Â£1 kept the club afloat, the players reacted by gaining promotion to the first division and reaching the FA Cup Final! Huddersfield started at the Leeds Road stadium but moved to the Kirklees Stadium in 1994. Due to several sponsorship agreements it has gone through various names over the years but since 2012 has been known as the John Smith's Stadium. 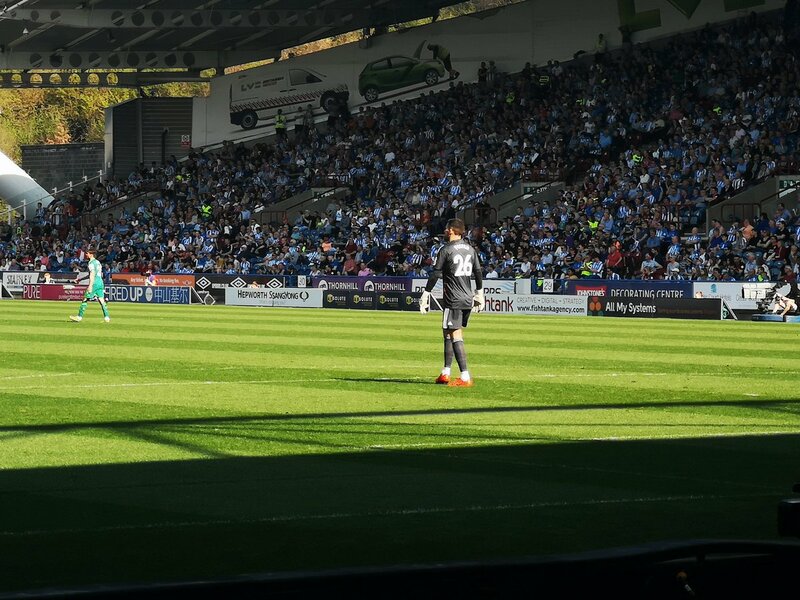 Depsite a glorious start (in 1926 Huddersfield won three successive top tier titles for the first time in English league history) the second world war brought with it a slow and long decline for the club. But that was then and this is now, Huddersfield have hit the big time again, a spell in the Premier League will be a huge bonus for the club, especially as they've made the leap before their bitter rivals Leeds. 43' - Ken Sema - Watford - won a free kick in attack. 41' - Substitution - Huddersfield Town. Matty Daly for Jonathan Hogg - injury. 41' - Etienne Capoue - Watford - won a free kick in defence. 38' - Will Hughes - Watford - won a free kick in defence. 36' - Juninho Bacuna - Huddersfield Town - won a free kick in defence. 30' - Will Hughes - Watford - won a free kick in defence. 30' - Missed chance. Jonathan Hogg - Huddersfield Town - shot with right foot from outside the box missed to the left after corner. 30' - Shot blocked. Isaac Mbenza - Huddersfield Town - shot with left foot from outside the box is blocked. 29' - Corner - Huddersfield Town. Conceded by Adrian Mariappa. 29' - Shot blocked. Elias Kachunga - Huddersfield Town - shot with left foot from a diffucult position on the left is blocked. Assist - Aaron Mooy. 27' - Corner - Watford. Conceded by Terence Kongolo. 26' - Will Hughes - Watford - won a free kick on the right wing. 24' - Juninho Bacuna - Huddersfield Town - receive yellow card for a foul. 24' - Gerard Deulofeu - Watford - won a free kick on the left wing. 24' - Shot blocked. Jonathan Hogg - Huddersfield Town - shot with right foot from the right side of the box is blocked. Assist - Tommy Smith. 22' - New attacking attempt. Isaac Mbenza - Huddersfield Town - shot with right foot from outside the box is saved in the top right corner. Assist - Tommy Smith. 21' - Missed chance. Andre Gray - Watford - shot with left foot from the centre of the box goes high. Assist - Ken Sema. 19' - Jonathan Hogg - Huddersfield Town - receive yellow card for a foul. 19' - Gerard Deulofeu - Watford - won a free kick in defence. 18' - Missed chance. Aaron Mooy - Huddersfield Town - shot with right foot from outside the box is close, but missed to the left from a free kick. 17' - Etienne Capoue - Watford - receive yellow card for a foul. 17' - Terence Kongolo - Huddersfield Town - won a free kick in attack. 16' - Missed chance. Juninho Bacuna - Huddersfield Town - shot with right foot from outside the box is close, but misses the top right corner. 15' - Juninho Bacuna - Huddersfield Town - won a free kick in defence. 13' - Corner - Watford. Conceded by Terence Kongolo. 12' - New attacking attempt. Ken Sema - Watford - shot with left foot from the left side of the box is saved by goalkeeper in the centre of the goal. Assist - Abdoulaye Doucouré. 11' - Will Hughes - Watford - won a free kick in defence. 10' - Etienne Capoue - Watford - won a free kick in defence. 9' - Missed chance. Etienne Capoue - Watford - shot with right foot from outside the box missed to the left. 5' - GOAL!!! 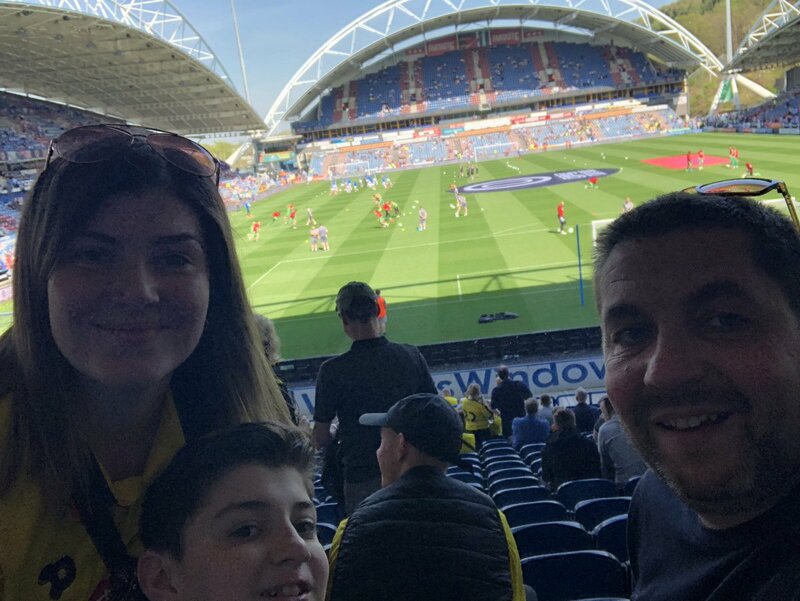 Huddersfield Town 0, Watford 1. Gerard Deulofeu - Watford - shot with right foot from the centre of the box to the right corner. 2' - Offside - Watford. Will Hughes with a pass, however Ken Sema is in offside.